Pokemon Go may soon have plenty more pocket monsters to catch, including the much-speculated-about Ditto, if a datamine of the game's latest update is anything to go by. 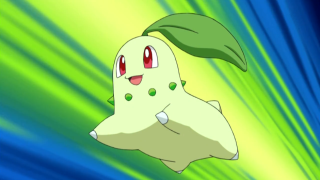 As Reddit user dronpes points out, some particularly tech-savvy fans have found files named after 100 Pokemon introduced in Pokemon Gold & Silver, as well as the move "Transform" - Ditto's signature ability. Now, none of this is to say that these things are imminent. After all, the data for legendaries and Ditto have been in the game since the beginning. But with the data for Transform now added, Ditto could finally become a viable Pokemon, even though the move hasn't yet been assigned to the pink blob. And hey, even if the inclusion of Gen 2 Pokemon and capturable Ditto aren't planned for anytime soon, at least now we can see Niantic is planning for their eventual release. And on that day, we can all stop whining about catching Pidgeys and instead moan about too many Dunsparces.